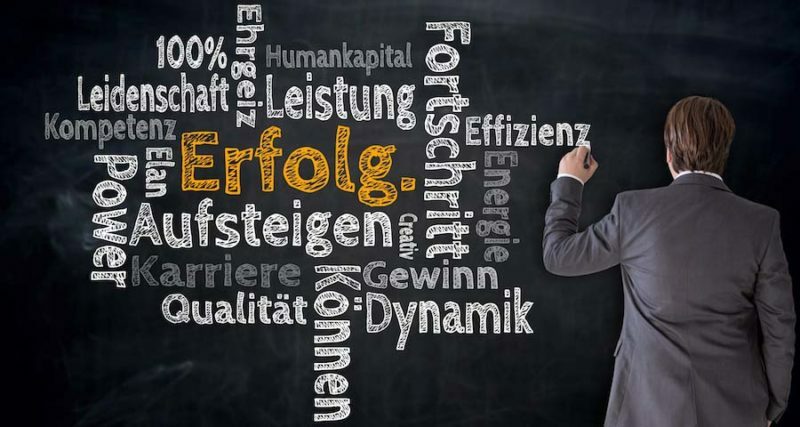 How Can You Evaluate Your German Langauge Learning? Since your current goal is to be able to have the ability to communicate on a basic level in German, you will be evaluating your progress based on a few metrics. If you decide to keep learning, you can use similar and slightly more advanced means to determine how well you are doing. Being able to measure your progress can often give you a reason to keep going. If you can see that you are moving forward, it provides great motivation to move forward, perhaps even faster. Even if you only need to memorize the basics for now, once you get started, it doesn’t hurt anything to keep or retain that knowledge because you never know when it will be useful. Maybe you only need it for a business trip or a vacation. In a few years, you will definitely wish you had kept it up. There are plenty of effective strategies for memorization to make the process more effective. Fluency does not need to be your goal. But after all of the time you dedicated to memorizing and reviewing, it won’t take nearly as much to keep that knowledge. 15 minutes a day can be enough to not only maintain what you know, it can help you creep toward something a little bit more functional if you decide you want to return. The best way to really learn a language is to learn about the customs. This means not only knowing where a language originated, but where it is spoken. English is spoken all over the world, and there are countries in nearly every hemisphere where it is the primary language. German isn’t quite so far spread, at least not as the official language of other countries, but it is still spoken in several countries that are close together geographically. Each of these countries has their own customs.